Magento is an astonishingly flexible and productive shopping cart that has been ruling the e-Commerce world for years. The increasing number aggressive competitors can’t seem to shake platform's teflon high position and, if anything, Magento is only reinforcing its e-Commerce leadership day-by-day. At Cart2Cart, we face a lot of functionality-seeking merchants who wish to transfer data to Magento. Thus, we’ve prepared useful tips to set up this advanced platform in the most effective way, after migration. 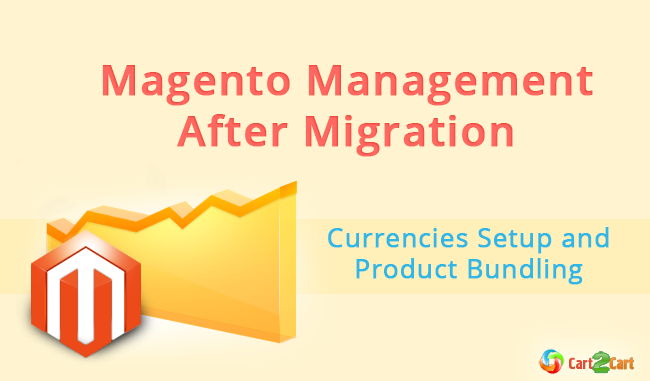 When Magento is set up by default, it permits users to operate with just one currency for all transactions. However, platform’s convenient “Currency Setup” panel allows adding, and managing as much currencies as one can bear. Simply log in to the admin panel, step to System menu > Configuration > Currency Setup and choose “Currency Options” from the panels that will appear. Despite being fairly straightforward, this admin option is utterly comprehensive and gives merchants opportunities to suit currency configuration to their precise business needs. Here, you can set up Base Currency, which will be used for all payment transactions and Default Display Currency, in which product prices will be shown to the shopper. Also, there is a possibility to select one or multiple Allowed Currencies, that will appear on store’s front end and permit your customers to choose the prefered currency from the appropriate dropdown list. 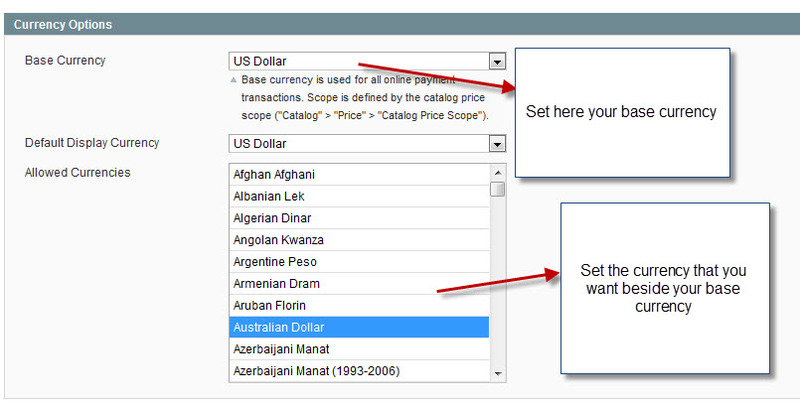 To include more than one of such currencies - simply hold the ctrl button while choosing them. Note: Be sure to go to System menu>Manage Currency>Rates and set up the preferable currency rates beforehand. That way, all the prices will be appropriately recalculated, If shoppers will switch to an Allowed Currency that is different from the basic one. In order to provide customers with better user experience, many e-merchants use effective product bundles. Those are separated catalogue sections that may include multiple groups of products inside them. In order to proceed with uniting goods in such manner you’ll need to create a number of simple products and, then, to add a bundled items upon them. To do that, step to Catalog menu>Manage Products and press the Add product button. In the menu that’ll appear you’ll be able to specify product attributes, and select“Bundle product” from dropdown list of the “Product Type” field. Next, after filling all the basic product details, go to the “Bundled Items” section, on the left, choose how you want these goods to be shipped, together or not, and click on the Add new option button. Finally, here, merchants can create and name bundles and select the way in which shoppers will be able to choose them, such as radio-buttons, checkbox etc. Additionally, there is an opportunity to choose whether certain products will be optional or required and which position will they take in detail’s of the product they’re attached to. After you’re done with these settings, press Add selection, and then, Reset filter - to get shown simple products for which you’ll be adding bundle options to.Also, you can select a specific Attribute Set Name and, thus, open the list the list of simple products that belong to a single type. Although Magento settings might seem complicated at first glance, they can reveal a truly staggering opportunities for merchants who will master them. If you’re one of the e-shop owners who appreciates progressive features and seeks for high customization opportunities, Cart2Cart can help to transfer data onto this solution with no troubles. So, stop waiting, register an account and equip your store with advanced qualities right now.